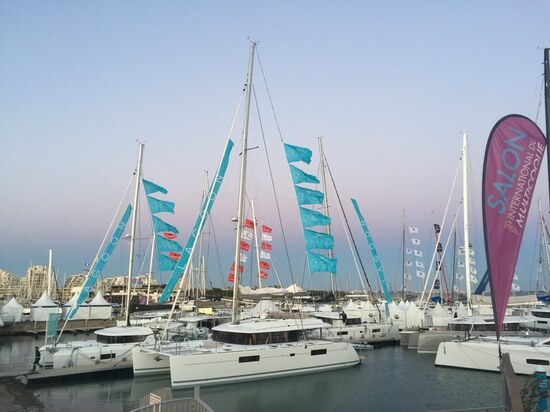 News & Trends> Trade Shows & Events > Sailing > 2019 MULTIHULL SHOW PREVIEW +WIN FREE TICKETS! 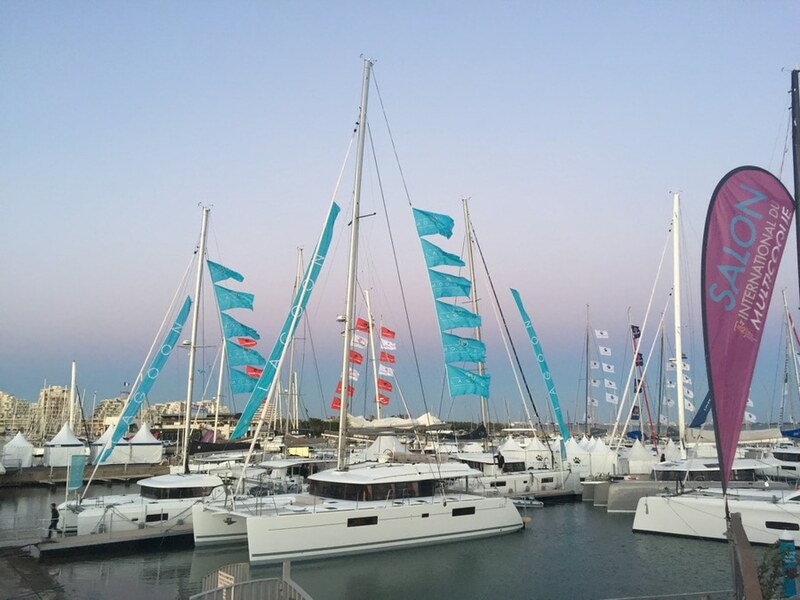 As multihulls continue to grow in popularity among cruising sailors swayed by the benefits in draught and accommodation they offer, so too do the boat shows that celebrate them. 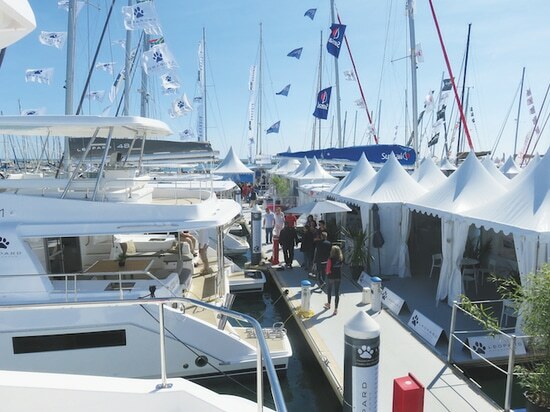 The five-day Multihull Show at La Grande Motte in the South of France was founded in Brittany in 2009, and has achieved international recognition over the past decade. With boatbuilders from across the globe descending on the sunny southern French port town, it’s sure to once again be a huge success. The show will be chock full of new boats, with an impressive 13 world premieres, including the hotly anticipated Sunreef 60, the hybrid version of the Privilege Serie 5, and the Aventura 44 all representing the catamaran clan. Trimarans will also be strongly represented, with the Neel 47 Evolution making its debut on the world stage. Perhaps most exciting for many is the Architecture/Innovation/Design area, which will offer visitors a chance to glimpse the boats of tomorrow today. Stars from the sailing world will be in attendance and many will be taking part in presentations and making speeches over the five-day event. Charter companies, chandleries, sailmakers, electronics firms and equipment makers will all be there in force, so you can plan your next trip on the water, whether it’s on a boat of your own or a chartered yacht for the summer. The best of southern French cuisine will be on offer, with stands set up around the show to satisfy the taste buds of visitors and exhibitors. Plus you’ll have the pick of local wines and, of course, the champagne will be flowing. One of the great benefits of the International Multihull Show is its location. La Grand Motte is in Languedoc Roussilon in the South of France. If you fancy taking a quick break from the show, then the opportunities for sightseeing are extensive; the vibrant city of Montpellier is a 20 minute bus ride away and the old town is a wonderful labyrinth of alleys and shady squares with a selection of sleepy cafes and bars. It’s easy to drive to the show. Follow signs to La Grande Motte from the A9, A61 or A75 motorways. Daily services to and from all major cities, in particular the TGV high-speed train, which arrives in Montpellier. From the railway station take the tramway (line 1) to the station Odysseum, where a regular coach (line 106) provides a return shuttle service to and from La Grande Motte (45 minutes). WIN VIP TICKETS TO THE SHOW!